Homepride flour, every bakers’ best friend, has been working with Pier PR & Marketing since 2013 to deliver a varied range of integrated activity, with a strong focus on social media. Thanks to cost-effective campaigns, plus creative and engaging content, Pier has grown Homepride flour’s loyal online community and reached millions with positive messages about the brand’s quality and versatility. To celebrate the union of Prince Harry His Royal Highness The Duke of Sussex, and Meghan Markel Her Royal Highness The Duchess of Sussex, Pier commissioned a British baker to create a celebratory cake that encompassed everything we know and love about the Royal couple. 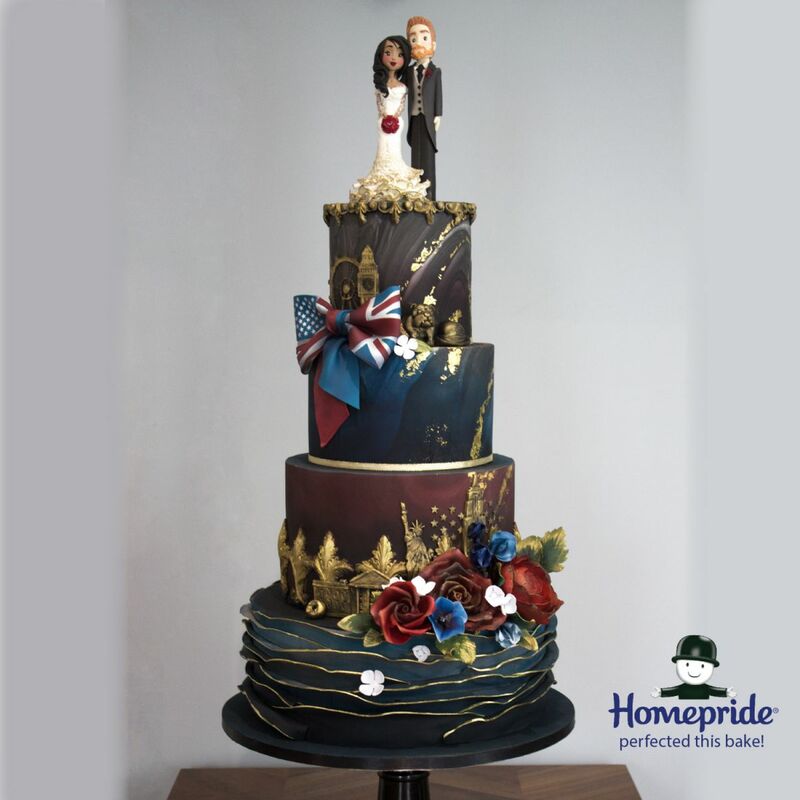 Pier ensured Homepride flour was the first brand to tweet when the details of Harry and Meghan’s Royal wedding cake was announced, keeping the brand current and relevant on the ever competitive world of social media. Creative, topical and on-brand content was created to mark the Royal wedding. Pier teamed up with Zoe’s Fancy Cakes, a popular YouTube blogger, to create a Victorian Velvet Sandwich. It was the ideal mix of British Victoria sponge meets American red velvet – the perfect British-American mash-up. The post was supported with a modest £50 boost on Facebook, but the results far exceed the client’s and our expectations.